Smith: "THE STONE'S RIVER CAMPAIGN 26 DECEMBER 1862 - 5 JANUARY 1863: Army of Tennessee"
2008's release of Lanny K. Smith's The Stone's River Campaign: 26 December 1862 - 5 January 1863: The Union Army was probably the most significant publication concerning that battle in two decades. This summer, the anticipated Confederate companion, The Stone's River Campaign 26 December 1862 - 5 January 1863: Army of Tennessee, became available, completing the set. Writing battle history in two volumes, one full treatment for each side, is unusual. The closest example that comes to mind (I can't think of any other, really) is the late Warren Grabau's excellent Ninety-Eight Days: A Geographer's View of the Vicksburg Campaign (UT Press, 2000), but that study employed alternating chapters to present each side's perspective, not entire book length works. Army of Tennessee volume improvements include a larger print size. Even though this adds to the weight and girth of what was already a massive volume, the ease on reader eyes more than makes up for it. In many cases the hand drawn maps are larger and more detailed than those found in The Union Army. The same regimental scale and terrain definition is present, but the author added movement (see example at lower right), tying each numbered stage of events to a descriptive legend. Also, this time around, the order of battle has regimental strengths, a welcome feature that still remains absent from nearly all modern Civil War battle studies. As opposed to James L. McDonough's overview treatment in Stones River: Bloody Winter in Tennessee (UT Press, 1981), the tactical side of the battle (better described as mega micro-tactical) is the overwhelming focus of Smith's set. It's minutely presented detail at all levels surpasses that found in Cozzens's No Better Place to Die: The Battle of Stones River (U of Ill Pr, 1989). The strategic and operational layers of the campaign (up through December 30), are covered in around 100 pages of the book's over 600 pages of main text. For the moments of heaviest fighting, chapters follow each division of Bragg's army, with subsections expanding upon the tactical role of each brigade and regiment, all in a microscopic manner. Additionally, the first time units are mentioned in the text, a biographical sketch of the commander is offered. The notes indicate the O.R. as the primary source used, with these reports supplemented by abundant letters, diaries, and memoirs, as well as unit histories, newspapers, and other published sources. The appendix section is also full of useful information. Battle reports from Jones M. Withers's division, all missing from the O.R., are collected there. Other appendices include casualty tables and an extensive order of battle. Finally, in a nice move, the author chose to create multiple indexes, one each for names, places (subdivided by state), and units (also organized by state). Overall, complaints are few, with one map upside down and typos scattered about the book's 800 pages. The Stone's River Campaign 26 December 1862 - 5 January 1863: Army of Tennessee completes a monumental effort on the part of Smith, who, as researcher, writer, cartographer, and publisher, wore all hats during the process. 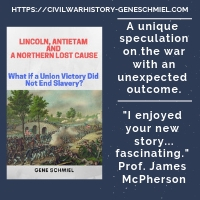 His blue and gray cloth set comprises an unprecedented tactical record of the battle (perhaps of any single Civil War battle) and will be an immensely valuable reference tool for future researchers and historians. Printed in a limited run of 359 copies, libraries and serious students of the Murfreesboro battle would be best advised to grab a copy now. It looks like a handful of Ironclad Publishing titles will be reissued next spring by Savas Beatie in revised and expanded editions. * Flames Beyond Gettysburg: The Confederate Expedition to the Susquehanna River, June 1863 by Scott Mingus. * Gettysburg's Forgotten Cavalry Actions: Farnsworth's Charge, South Cavalry Field, and the Battle of Fairfield, July 3, 1863 by Eric Wittenberg. * A Little Short of Boats: The Civil War Battles of Ball's Bluff and Edwards Ferry, October 21 - 22, 1861 by James Morgan. * The Second Day at Gettysburg: The Attack and Defense of the Union Center on Cemetery Ridge, July 2, 1863 by David Shultz and David Wieck. I am glad to see that Morgan's great book will be in hardcover (the rest appear to remain in paperback). 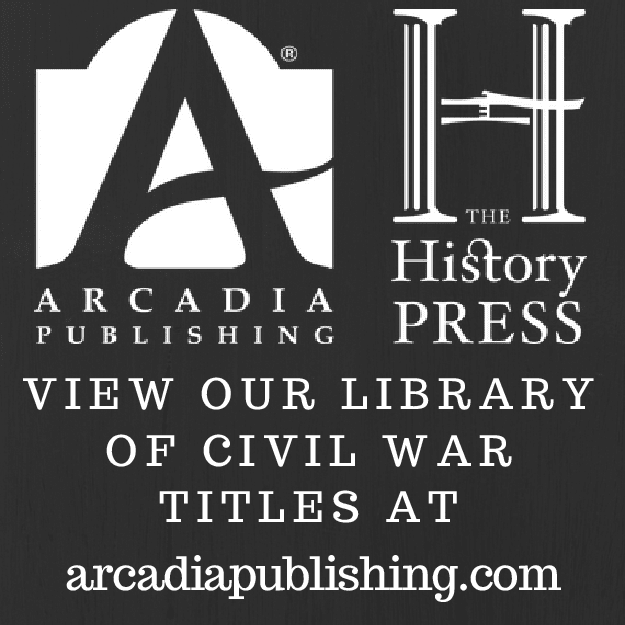 Love and War: The Civil War Letters and Medicinal Book of Augustus V. Ball edited by Donald S. Frazier and Andrew Hillhouse (State House Press, 2010). This massive book should be of interest to students of Civil War medicine and the war in the Trans-Mississippi. Dr. Ball served in the 23rd Texas Cavalry and McMahan's Battery, and his letters to his wife and other friends and family described his service with these units. The editors also include Ball's recipe book of medicines. This annotated material gives insight into remedies of all types used by experienced physicians during this period. Wachtell: "WAR NO MORE: The Antiwar Impulse in American Literature, 1861-1914"
Although Civil War themed writing comprises the vast bulk of Cynthia Wachtell's War No More and will be the only material discussed on this venue, it should be mentioned upfront that antiwar writings pertaining to other conflicts leading up to the Great War are also included in its pages. It should also be realized by the reader that the term 'antiwar' writing is utilized here in a broad sense, differentiated from forms of 19th century pacifist literature (e.g. tracts produced by small religious sects and others) deploring warfare in all circumstances. Whatever moral conflicts many of these men had with the means and human cost of the war, most remained ardent public supporters of the Union cause. Wachtell begins her study with three views of the September 1863 Battle of Chickamauga, seemingly using the trio as representative of the evolution of Civil War writing trends, which began with participant journals [in this case, that of Captain Allen Fahnestock] never meant to be published. At the same time and for public consumption into the near future, sanitized celebratory poetry appeared, often written by those far removed from the battlefield [like Texas teen Mollie Moore]. Finally, arriving decades later when the reading audience was more receptive, were the more shocking "antiwar" works characterized by bitter irony, explicit gore, and unredeemed sacrifice [see Ambrose Bierce's horrifying short story "Chickamauga"]. Wachtell notes that much of the population, north and south, could trace their romantic ideals of warriors and warfare to the immensely popular writings of Sir Walter Scott. Using Herman Melville's poetry compilation Battle-Pieces and Aspects of the War, John William De Forest's novel Miss Ravenel's Conversion from Secession to Loyalty and poet Walt Whitman's Drum-Taps, Wachtell demonstrates to what degree the reading public, during the war years and beyond, rejected works attempting graphic battlefield imagery and antiwar sentiment. Through her research into the public and private writings of these individuals, Wachtell discovered that these writers practiced a large degree of self censorship. Even so, Battle-Pieces was an abysmal commercial failure, Miss Ravenel's Conversion was rejected in serial form, and Whitman despaired at the lack of popular recognition his work received. Another of the book's great themes is literary despair over the industrialized nature of the Civil War and the impact of modern weaponry. A particularly good chapter examines Nathaniel Hawthorne's private concerns over the aims of the war, questioning deeply whether the war should even be fought. The grandson of a Revolutionary War naval officer, Hawthorne also joined Melville in worrying about the direction of sea warfare and man's place in it, as navies transitioned from the graceful sailing vessels of old to the big gun, steam belching, armored behemoths of the present and future. Other writers worried about technology as well, and Wachtell discusses, among others, the prevalence of industrial imagery in Stephen Crane's The Red Badge of Courage and Mark Twain's imagined futility of future wars in the face of rapid mechanization. 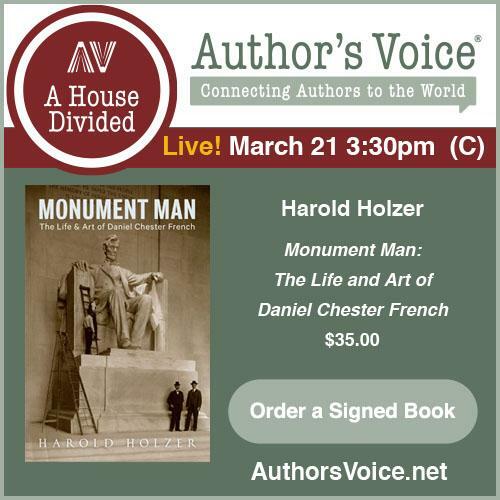 The book is well structured thematically, and, while a familiarity with the specific prose and poetry works discussed inside would undoubtedly be helpful, it is not a necessity as the author reproduces relevant passages throughout. A quibble I have with the book is its overwhelming reliance on northern literary figures. If this was forced by a dearth of southern material, I wished to hear about it. It also does not examine postwar readership in a sectional sense to see if the antiwar reading tastes of those residing in the former Confederate states mirrored the same progression as the victorious northern public. But these are only minor criticisms of what is a well presented literary-historical study of 19th and early 20th century war writing. 1. The 22nd Maine Volunteer Infantry in the Civil War: A History and Roster by Ned Smith (McFarland, 2010). The 22nd spent its 1862-63 term of service in the Gulf Department, fighting in the Bayou Teche and Port Hudson campaigns under Banks. It looks like a good book, although I am not sure why the author skimped on his own bibliography, which lists only a couple dozen published sources, while the notes indicate a vastly greater numbers of sources used, including much in the way of unpublished material. 2. Union General John A. McClernand and the Politics of Command by Christopher C. Meyers (McFarland, 2010). This one appears better researched than a number of the more recent Civil War military biographies from this publisher. I can't tell yet how favorable a view Meyers has of his subject's generalship, but that does not appear to be a major focus anyway. The author states in his introduction that the primary theme is McClernand's politicization of his military service and recommends Kiper for details on military matters. He'll also attempt to present more of McClernand's perspective on the Grant vs. McClernand relationship. 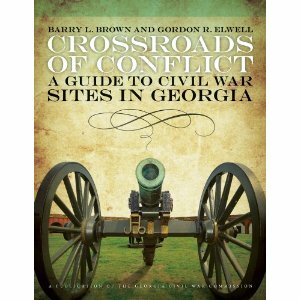 Brown & Elwell: "CROSSROADS OF CONFLICT: A Guide to Civil War Sites in Georgia"
"... battlefields, markers, houses, relief maps, monuments and statues, museums, mills, churches, depots, and cemeteries and grave sites. Also included are bridges, forts, parks, visitors centers, ferries, courthouses, capitols, prison sites, campsites, trenches and Shoupades, plantations, archives, arsenals, and lighthouses. Travelers can visit an iron works, a foundry, a factory, an armory, and a hotel; stroll in a garden and walk through a tunnel; take in a cove and a canal; see the only double barreled cannon known to exist; and view what many consider the finest cyclorama painting in the world"
The sites are separated into nine geographical regions. While there are no planned driving routes or detailed traveling directions between attractions offered, locations are noted in general fashion as dots on large scale modern highway maps. Additionally, the physical address of each site is noted in the upper right hand corner of each listing, as well as phone, business hours, and website information (if applicable). The associated text is not only descriptive in nature but provides historical context and preservation information. A common feature is the presence of shaded boxes informing readers of the Civil War history of towns located near the sites in question. In a nod to modern tools for touring and marker hunting, an appendix lists GPS coordinates for each location, a necessary step for books of this type from now on. Illustrations abound, with 250 B&W period images and modern color photographs, as well as numerous artwork reproductions, spread liberally throughout. In addition to being attractively presented in terms of content, the book's material quality is also superb. The heavy, high gloss paper and reinforced paperback covering should hold up well to numerous road trips. With its spotlight on hundreds of historical sites from the famous to the nearly forgotten, and a release well timed to the approaching sesquicentennial, this new edition of Crossroads of Conflict will be a very useful guidebook for visitors and residents. * - Published by University of Georgia Press, in association with the Georgia Civil War Commission, the Georgia Department of Economic Development, and the Georgia Humanities Council. Some content is available online at www.exploregeorgia.org. Of the handful of Wilson's Raid studies, none are truly satisfying, with James Pickett Jones's almost 30 year old Yankee Blitzkrieg: Wilson's Raid through Alabama and Georgia still the best. 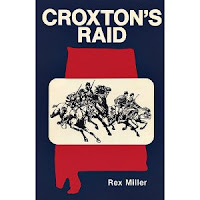 Rex Miller's Croxton's Raid isn't a great book either, but it details a significant but lesser known aspect of the operation, the ancillary raid conducted by a detached force commanded by Brigadier General John T. Croxton. 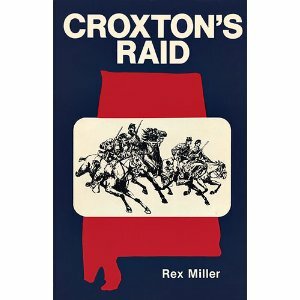 Published in paperback by The Old Army Press in 1979, Miller's study traces the independent movements and destructive activities of Croxton's brigade, which separated from Wilson's main body of three divisions early on in the raid at Elyton, Alabama on March 30, 1865 and headed to Tuscaloosa, fighting briefly at Trion before crossing the Black Warrior River and approaching the city from the north. There, Croxton burned the university [to the joy of Auburn fans everywhere] and destroyed other public properties and military targets. Next, the raiders headed southwest, seeking to cross the Tombigbee but turning back upon finding the river unfordable and hearing that Wilson was already in possession of Selma. Returning to Tuscaloosa, Croxton then adopted a winding eastward course across the state, crossing the Coosa River and passing through Talladega before finally crossing the border and rejoining Wilson at Macon, Georgia on May 1. Along the way, detachments were sent out to destroy iron works and other industrial sites, and several very small skirmishes were fought. About half the book (94 pages) covers the raid in narrative form, the rest comprising unit histories as well as officer lists and biographies. The volume is well illustrated and numerous maps allow the reader to easily follow the path of the raiders. The text is properly documented, and, while the bibliography is a bit thin by today's standards, a good range of sources (published and unpublished) were used. Students of Wilson's Raid will find the volume well worth a look. Schmidt: "CIVIL WAR JUSTICE IN SOUTHEAST MISSOURI"
Given its wide scope and the seriousness of consequences to soldiers and civilians alike, the application of military law in contested areas by the Union army between 1861 and 1865 remains understudied. 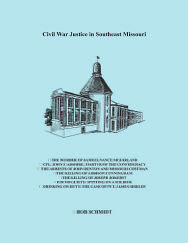 Bob Schmidt, the author of several regional studies, in his new book Civil War Justice in Southeast Missouri does not attempt a broad treatment, but rather delves into seven case studies, ranging from mundane offenses on up to capital murder. Schmidt's selections serve as a rather good cross section of the types of crimes and punishments encountered during the war, especially in areas where both sides enjoyed considerable popular support. The first involves civil courts, the rest only military. Samuel V. McFarland, and unarmed civilian, was murdered by William Nash of the 68th Enrolled Missouri Militia, who accused him of being a "rebel". Indicted by a civilian court, Nash disappeared before he could be arrested and justice was never served. Corporal John F. Abshire served in the Missouri State Guard and later joined an independent Missouri cavalry company of the kind not always recognized by Union forces as legitimate. Captured in 1863, he was predictably accused of being a guerrilla by his Union captors and was tried by a military commission for killing citizen William Hayes and sentenced to death. From the documents provided, it is unclear why he was hanged after his punishment was commuted by higher authorities to imprisonment. John B. Coffman and his wife Missouri were arrested for allegedly aiding guerrillas, a common offense. After being imprisoned on two occasions, they were released without trial, probably due to the war's end as much as the stated reason of lack of evidence. Famed bushwhacker Sam Hildebrand killed the 68th EMM's Addison Cunningham, but Schmidt concerns himself here with the case of accused accessory William B. Jones, who was held but released for lack of evidence. Private Joseph Jokerst of Battery C, 2nd Missouri Artillery was shot and killed by unit mate John W. Terry, who was tried by court martial and found guilty of 2nd degree murder. Terry served only a small portion of his sentence before being released in 1866. Another military commission case involved a civilian spitting on 9th Wisconsin private August Kock. The perpetrator, Herman Schuster of St. Louis, was convicted, fined 10 dollars and released from prison upon payment. Finally, company clerk Private James Shields of the 3rd Missouri State Militia, found to be drinking on duty, was court martialed and confined for five days. For all these case studies, Schmidt delves into family history and the military service records of individuals involved. He also reproduces depositions and court testimony, as well as many other official documents. Letters, petitions, and other correspondence also abound, as well as maps and illustrations. Much of the material is formally footnoted, with often extensive commentary. On the down side, the index is badly formatted. Also, as with his other books, the author is often content to let the documents speak for themselves, which allows gaps in reader understanding and gives the appearance of rather loose organization. However, a common thread can be followed if the reader is tolerant. Taken together, the cases provide a good discussion of how various offenses were addressed by civil courts, courts martial, and military commissions within the state of Missouri. They highlight for the reader the difficulties involved as well as the often inconsistent application of justice. The documents reproduced in Civil War Justice in Southeast Missouri also reveal insights into the various legal processes. For the benefit of local readers, as well as the many families consulted personally by the author, detailed genealogical data is also presented. 1. War No More: The Antiwar Impulse in American Literature, 1861-1914 by Cynthia Wachtell (LSU Pr, 2010). It will be interesting to read about the great writers of the period who supported the Union cause yet struggled morally with some aspects of the aims and conduct of the war. 2. The Civil War Art of Keith Rocco , text by Robert I. Girardi (Crimson Books, 2010). I've always liked Rocco's art, with its apparent Wyeth and Homer influences. This book only takes a selection from Rocco's large body of Civil War work, but these twenty four paintings are a fine representative mix of camp, battlefield, and picket line scenes. Individual portraits are also included, with wonderful attention to detail in terms of uniforms and equipment. When opening the book, the painting reproductions are found on the right, with Girardi's full page descriptive and contextual narrative opposite. On heavy high gloss paper stock, the image color and clarity are high. This is definitely worth a purchase for Rocco fans. One thing from the latest issue of Blue & Gray magazine that caught my eye was the scathing review by Atlanta Campaign historian and former B&G Book Review Editor Stephen Davis of the recent John Bell Hood and the Fight for Civil War Memory . It's worth checking out at your local bookstore if you're not a subscriber. Every once in a while, the Pritzker Military Library author series has a Civil War guest speaker, and last week (10/7) they had Donald Stoker. I haven't listened to it yet, but other podcasts have made for interesting iPod listening. There's little doubt that there are few things Civil War book editors love to send to the chopping block more than reams of data and numerical analysis. No entity but a university press, and rarely at that, would even consider involvement with anything like this , and UNC Press certainly deserves credit for publishing next spring Soldiering in the Army of Northern Virginia: A Statistical Portrait of the Troops Who Served under Robert E. Lee , the quantitative companion to Joseph Glatthaar's acclaimed General Lee's Army. Busch: "FORT DAVIDSON AND THE BATTLE OF PILOT KNOB: Missouri's Alamo"
Prior to last month's publication of Walter Busch's Fort Davidson and the Battle of Pilot Knob, readers seeking a book length treatment of the bloody beginning to Sterling Price's 1864 Missouri Raid had a pair of studies available, the classic Pilot Knob: The Thermopylae of the West by Cyrus A. Peterson and Joseph M. Hanson (1914) and Bryce A. Suderow's excellent modern tactical history Thunder in Arcadia Valley: Price's Defeat, September 27, 1864 (1986). Busch, natural resources manager for the Fort Davidson State Historic Site, initially sought only to reproduce in print a trio of memorial pamphlets for publication, but the addition of more information, including several chapters dealing with background material as well as post-war memorial efforts by veterans, resulted in Fort Davidson and the Battle of Pilot Knob. Fort Davidson, by 1864 a strong pentagonal earthwork armed with siege guns, guarded the terminus of the Iron Mountain Railroad at Pilot Knob, Missouri. The route passing through Arcadia Valley was important for its iron ore mining and transportation, and Union forces occupied it in late 1861. The first four chapters of Busch's study discuss the economic and military significance of the region, as well as, briefly, the September 27, 1864 sanguinary failure of General Sterling Price's army to capture the fort from General Thomas Ewing's defenders. The action is also recognized for the dramatic planned detonation of the fort's magazine and the improbable concurrent escape of the garrison during the night. The rest of Busch's narrative, a pair of chapters, are devoted to post war efforts to commemorate the battle, primarily through the veteran spawned Pilot Knob Memorial Association. These men held reunions and GAR "campfires" on the site, and led serious efforts to purchase the fort site for preservation. Lobbying efforts to make Pilot Knob a national battlefield failed, but other government entities would take the reins and Busch summarizes the lengthy process that led to the creation of the Pilot Knob State Historic Site in 1987. The other two-thirds of the book's main body comprise transcribed Pilot Knob Memorial Association anniversary booklets 1904-1906 (to include illustrations). Typical content is a series of addresses by prominent public and private individuals, but there is other information useful to historians such as lists of survivors present. There was also an attempt to compile a list of Union casualties. An interesting series of heated newspaper editorial exchanges between a Confederate and Union Col. David Murphy (the Pilot Knob artillery commander) discussing Confederate numbers and losses appears as an appendix to the last booklet. In addition to the three pamphlets is an 1882 Iron County Register article outlining the events of the battle. A number of photographs and period illustrations are placed throughout the book. Busch also compiled a list of Federal units that operated in Arcadia Valley during the war. His other two appendices comprise extended photo captioning and the text of the proposed bill to create the Pilot Knob National Battlefield. While Bryce Suderow's book easily remains the best narrative history of the battle, Busch's contributions are of a different nature*. In addition to the publication of obscure veteran memorial booklets, Fort Davidson and the Battle of Pilot Knob does have enough original information to merit purchase by a broader reading audience. Those studying the memorialization of Civil War battles and battlefields, one of many hot topics among today's scholars, might also take a keen interest in the title. * - Busch does make some controversial assertions in the book. He places Price's strength at 20-25,000 men, far above the traditional figure in the neighborhood of 12,000. The author also declines to view the overall raid as a disastrous failure, instead claiming that the war was substantially lengthened by the diversion of Union forces from more vital theaters. Neither is well supported by evidence presented in the book, perhaps forming the germ of another study. McCaul: "THE MECHANICAL FUZE AND THE ADVANCE OF ARTILLERY IN THE CIVIL WAR"
For all that has been written about the important Civil War role played by modern, long range rifled artillery weaponry, it remains that these guns would have been toothless without the development of a robust, mass producible, and predictable means of bursting the round. This truth is the subject of Edward McCaul's thoroughly researched and fascinating new book The Mechanical Fuze and the Advance of Artillery in the Civil War. While both sides recognized the need for mechanical fuzes and possessed inventive designers, due to the requirements of high tolerance industrial equipment and parts, as well as a large pool of skilled labor, only the Union side was capable of mass producing reliable fuzes. No fuze can operate correctly without the right type and packing of gunpowder, and McCaul begins his book with an illuminating discussion of just that. Data dealing with the classes of U.S. military gunpowder, in terms of grain size, component (nitre, charcoal, and sulfur) ratios, etc., are supplemented with tables reproduced from period ordnance manuals. Interestingly, the country was heavily dependent on India as a source of nitre, an item of import largely left out of U.S.-British foreign relations studies of the Civil War years. The strengths and weaknesses of pre-Civil War fuze technology is covered next, from early wood and paper designs to the far more effective Bormann Fuze. While reliable, Bormann's early designs suffered from having a maximum burn time of only 5 seconds, rendering them unusable for the flight times of modern rounds. Fuzes would be needed for both smoothbore and rifled artillery, and a brief chapter also contrasts the uses and special needs of both. A main theme of the book is the "Weapon System Pyramid", a feedback loop between military need, technical availability, and industrial capability, with the Confederacy totally lacking in any equivalent to the concentrated industrial districts located between Boston and Philadelphia, the strip of arsenals and manufacturers that produced the vast majority of fuzes for the U.S. army and navy. The high level of professionalism (in terms of staff and management) extending to the production of fuzes in U.S. armories and arsenals is the subject of another chapter. The section of the book summarizing the Civil War battlefield role of artillery and the type of ammunition used at various ranges is brief and will be familiar to many readers, but the salient points about the relationship between fuzes and general reluctance to fire over friendly troops (even at very long ranges) are well developed. Not surprisingly, given war's tendency to accelerate technological change, between 1861-64 patents for new fuze designs and improvements grew steeply, to 83 (as opposed to 8 for the five year period preceding the war). The inner workings, effectiveness, and drawbacks of several of the most prominent of these [especially concussion (e.g. Tice), combination (e.g. Schenkl), and percussion (e.g. Schenkl, Parrott, and Hotchkiss) fuze designs] are discussed in some detail. If all this sounds daunting, the author's writing throughout is only moderately technical, with little in the way of prior knowledge required. Some important aspects, such as setback forces, are a bit under explained, a situation not helped by the rather sparse index. Also, while the author notes that the Confederacy was sufficient in two-thirds of the Weapon System Pyramid, there own role in all this is only explored in the context of their industrial deficiencies, with no mention of any southern inventors or designs. Confederate artillerymen complained throughout the war of their very high fuze defect rate, an equipment failure in both army and naval spheres that remains underappreciated in degree of seriousness, and thus might have been addressed to better effect in this specialized book. A significant part of McCaul's study is taken up by the appendices, the first an impressive analysis of U.S. fuze related patents approved between 1855 and 1872. The others deal with British patents, biographies of persons mentioned in the text, and a brief rundown of all prewar arsenals, armories, navy yards, foundries, and arms makers. 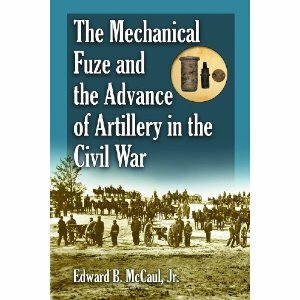 An appeciation of fuze technology is essential to any meaningful understanding of Civil War artillery, and McCaul's new study is an important and authoritative guide. Readers seeking a well documented and primary source based narrative presentation with more technical information than that found in the typical period history will find The Mechanical Fuze and the Advance of Artillery in the Civil War quite useful for their purposes. Highly recommended.